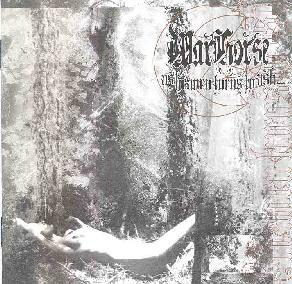 Warhorse - "As Heaven turns to Ash"
This is another very very heavy release, more in the Doom metal realm, rather than the desert-stoner rock genre that they are sometimes put in. Seems that the bands in this genre are really crossing over though. It is nice to see the band mixing up short melodic pieces with the brutal slow heavy stuff. It gives you a bit of a breather. I really don't care much for the vocal deliver (sort of the growling death metal style vocals). The riffs are just as heavy or heavier than the Electric Wizard but the production is not so muddled and there are guitar solos, but they are not much to my liking. Sometimes the band tries to get into a groove and pick things up but usually slows back down to a slow grind and it all just sounds too much alike. I heard these guys were great live. For more information you can visit the Warhorse web site at: http://come.to/warhorse. Contact via snail mail c/o Warhorse; PO Box 60372; Worcester, MA 01606. As Heaven Turns To Ash is distributed by Southern Lord. You can visit their web site at: http://www.southernlord.com.